Like most new parents in MA, I've got serious sticker shock over the cost of daycare, especially at larger facilities (as opposed to home daycare). I'd really like to send my future baby to daycare in the neighborhood, just to avoid having to take an infant onto the T.
Bright Horizons and Kindercare are seriously expensive. Looking at the State directory of daycares, I see that some of the in-home ones are easily half the cost. My question is: Have any of you used in-home daycare in or around Davis Sq? If so, where did you send your child, and would you recommend the place to others? I would appreciate any additional thoughts or tips that you might have. Thanks, everyone! * Local branches a bonus, especially if they'll take loose coins from kids without a fee. USAA seems to have a great program but we're not military so not eligible. Do any of the (many, many) banks and credit unions around have anything suitable? Are there national banks which have good things in this line (ours doesn't)? Googling is not easy since many of the programs are targeted at older teens or have ATM cards which charge fees for withdrawal at local ATMs. The Bradley Method is taught over the course of 12 weeks and focuses on becoming prepared intellectually, mentally, and physically for labor, birth, and beyond. Bradley classes are a great choice if you are interested in a medication and intervention-free birth either at home or in the hospital. Classes include ways of avoiding unnecessary pain in labor, labor positions, exercises, massage techniques, relaxation, informed choices and positive communication with your health care providers, and labor rehearsals. I will also focus on breastfeeding, bonding, and what happens after that most-important-day! Also, one of the main components of the Bradley Method is fully involving the partner or husband, who will learn to be a great coach for you in labor. If you know anyone who is expecting, please let them know! Class days and start date may be flexible in certain circumstances. I will also be offering a discount of 20% off the usual $350 tuition, since this is my first series. For more info please my website at http://www.bradleybirth.com/susannanoon. I'm seeking volunteers (especially facepainters) for the most adorable event in Boston! It’s called Duckling Day and is put on by the nonprofit Friends of the Public Garden. We need a huge volunteer presence and we're right on Boston Common so it’s an easy MBTA red line trip! Here's the 411 - please contact me (Karin) at events@friendsofthepublicgarden.org if you're interested. This is a celebration of the classic children’s book “Make Way for Ducklings” and many of the kids are dressed as ducklings which is the cutest thing ever. There is about 90 minutes of fun activities for the under-6 crowd (magician, juggler, puppet shows, facepainting, outdoor play equipment) and massages for the moms – and then the Mayor speaks and the kids and families form an amazingly adorable parade that ends at the Public Garden. Tasks: pretty basic – helping with set-up, registration and check-in (which is a big job requiring lots of personnel! ), and helping the different activity people keep the activity areas running smoothly. I do also need people interested in facepainting. You don't have to be a pro, just reasonably interested/able to work with kids in this fun way! Hello from, Lori’s Lollipop Kids Family Child Care your quality licensed, insured childcare and preschool, located in Somerville. I am currently enrolling infants and toddlers. Here at Lori’s Lollipop Kids, I provide quality daycare at an affordable rate. I am located in a quiet safe neighborhood with easy access to parks and the library. Time spent out of doors is very important so we try to go out in the morning and afternoon every day, weather permitting. We spend three days a week working on our curriculum giving plenty of time for other activities. Each child is given the opportunity to participate at a willing age. Your child will work with a wide variety of materials from books and toys to art supplies and computers. I feel it is important to encourage children without pushing them beyond their natural limits. I have worked with children for more than fourteen years. Yearly, I am First Aid and CPR certified. I differ from other childcare settings in that I provide more of a home environment while providing structure. My hours are 8am-5:30pm but I am willing to work with your family’s needs. I have references from many satisfied families I have worked with in the past. My home is newly renovated so you can be sure it is de-leaded with everything in working order. I have a large backyard that has lots of sun as well as shade. Call 617-921-3968 for more details and to set up an interview! Any word on the Korean Restaurant that was going to go in the ExDonalds? There seems to be nothing happening there. And speaking of nothing happening, how come the city ripped out Kenney Park and then stopped working? The park's been out of commission for months of just sitting there a mess. Shame on them for doing the demo when they weren't ready to do the reconstruction; it's a waste of good space. Anyone have the scoop on either of these? A war is being fought on the streets of New York City! The pushcart peddlers, led by Maxine Hammerman, believe that they deserve to sell their wares on the street. But the big trucks are taking over the streets, crowding New York City in one big traffic jam. Come see the ferocious General Anna, the quiet Dorris the Florist, and the crackpot Frank the Flower as they rebel against the trucks using nothing but peashooters and bravery as the Mayor tries desperately to keep the streets of his city--as well as his precious peanut butter--safe. This ridiculously silly show is sure to be a hit for all ages! This year, Somerville's annual pre-Independence Day fireworks will take place on Thursday, July 3. As always, the fireworks will launch around 9:15 pm from Trum Field, on Broadway between Ball and Magoun squares. A street party on Broadway will precede the fireworks, with entertainment starting at 6 pm from the Somerville Sunsetters, Booty Vortex, the USO Metropolitan New York Performers, and the U.S. Navy Band Northeast Pops Ensemble. See the official city press release for full information on street closures and parking restrictions. The city will also hold a "Family Fun Day" at Trum Field on Saturday, June 28 from noon to 5 pm, with a community BBQ, children's activities, face painting, pony rides, and other kids' entertainments. Just a post to announce an event I'm working on that will be of interest to the family types here. It's called Duckling Day and it's the most adorable Mother’s Day tradition around. Every year, over 1,000 children and their families parade through Boston Common and the Public Garden, dressed like characters from the children’s classic Make Way for Ducklings. 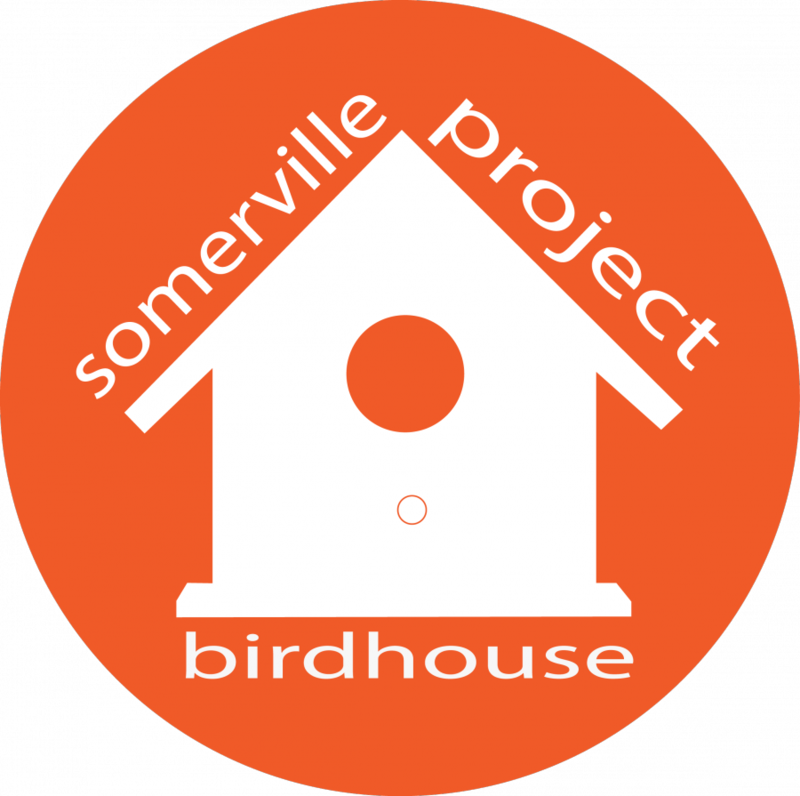 For 2014 we’ve added some great new activities for the kids (playtime with the Somerville-based Knucklebones crew, make-your-own Mother's Day cards, etc), and free mini-massages for moms – in honor of Mother’s Day. I have an almost-three year old myself and am really excited for him to enjoy the event! Hi! I wanted to let those of you with school-age children know about a really cool crafting camp my friends Amy and Aimee are putting on at the Armory during spring break (Monday April 21st through Thursday April 24th). Details are here. 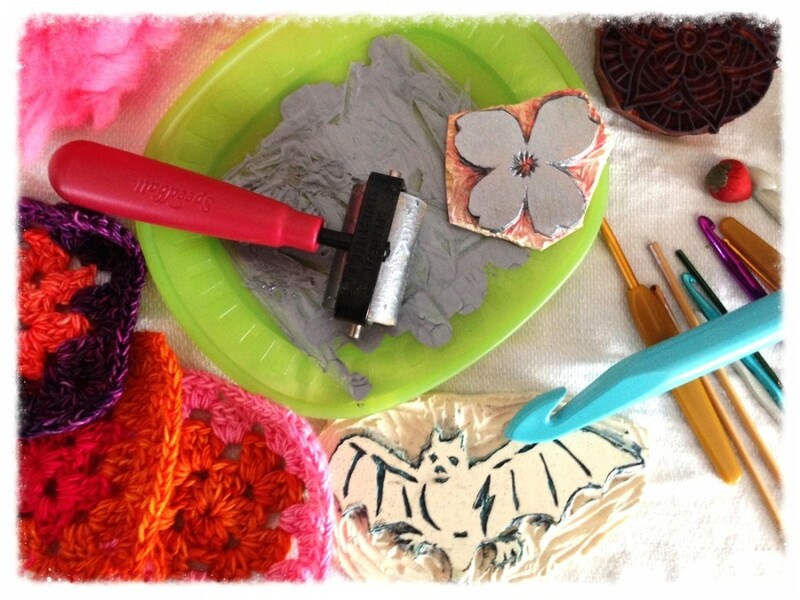 Projects include Kool-Aid dyeing, fabric printing, sewing and crochet. I told them if I had a kid I'd totally sign her (or him!) up for this! Shadow Puppets and Kids Band at Parts and Crafts! Kids band has rehearsals every Sunday from 3-5 -- if you're under the age of 13 and like Honk, this might be the place for you! we play simple, danceable tunes that are easy to learn -- all are welcome, no experience necessary. kgradow1.livejournal.com - Shadow Puppets and Kids Band at Parts and Crafts!